​Equal parts esthetician and educator, Dee Bartolo is recognized as one of the country’s most knowledgeable and sought-after practitioners in her field. ​Trained at Shaw College of Beauty Therapy, Bond Street, London, Dee’s unparalleled commitment to excellence and results earned her the position of Director of Beauty Therapy at The Shaw College of Beauty Therapy in England, Japan, and in the Caribbean. Fascinated by the new techniques and serious study of skin care in California, she relocated to Los Angeles in the early ‘90s as Head Aesthetician and Trainer at the Leonard Drake Skin Care Salon and in Jose’ Eber’s flagship Beverly Hills salon, where she initiated the Dee Bartolo Skin Institute. Dee then opened the Institute for 12 years at The Ritz-Carlton, Marina del Rey, at their invitation; afterward, she was showcased at the W Hotel, Westwood for a period of two years. Dee’s treatments are especially coveted by Hollywood’s elite during award season, and throughout the year. She prides herself on creating a “safe haven” for everybody who comes in for care. 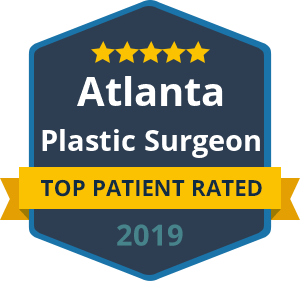 While deploying the newest technologies and treatments are key, both pale in comparison to Dee’s primary objective: results oriented with an in-depth on-going analysis of the skin and custom treatment plan. “Only years of experience, as well as technical knowledge, allow an esthetician to do the most for a client’s skin—not only for a pleasurable and results-oriented treatment experience, but as a preventive one as well. And,” Dee adds, “from a beauty standpoint, our skin is always the best accessory we have. I am as passionate today as I was the day I started.” It is this very synthesis of education, experience, and unwavering attention to each client’s skin health that has conspired to forge a reputation for Dee Bartolo as an esthetician of the very highest order.